While some people love working in an open office layout, it certainly isn't a fit for everyone. Some people thrive among the constant chatter and collaboration of coworkers, while others find it distracting. Noise-canceling headphones are a lifesaver when it comes to eliminating distractions. Not only do they help drown out office chatter, but they also signify to others that you're trying to work. People tend to interrupt you less if they see that you're wearing headphones and are in work mode. Perhaps the best open office survival tip is to establish boundaries with those around you. There's no shame in letting people know how you work best. You're there to do a job, and if the open office layout is becoming a distraction, it's up to you to find a way to make it work. Block off an hour or two a day on your calendar that is strictly dedicated to working on your own. Share your calendar with others so they know when you are or aren't available. 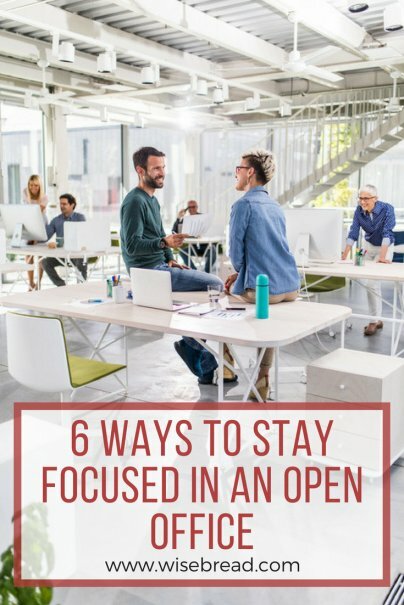 And chances are, you aren't the only person in your office struggling with the open concept. Lead the charge by creating an office plan of how to let one another know when you're busy. Perhaps you put a do not disturb sign up while you are occupied, or you ask everyone on your team to coordinate an hour of distraction-free work. Whatever the case, find something that works for you and your coworkers. How can anyone get anything done when coworkers are constantly stopping by or pinging you on Slack? The truth is, it's difficult for anyone to work with constant interruptions.